Showing Severe Astonishment over the notification of Medical Council of India, dated 1st February 2016, the Parliamentary Committee has slammed MCI over deleting the words “and professional association of doctors” through an amendment to the clause 6.8 of the MCI Code of Ethics Regulations, 2002. This move of the MCI has allowed professional associations to be exempted from the MCI code of ethics. 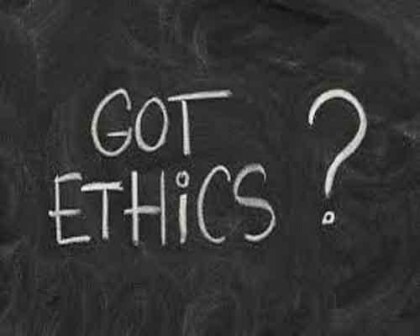 The Committee observed that exempting professional association of doctors from the ambit of Ethics Regulations is nothing short of legitimizing doctors’ associations indulging in unethical and corrupt practices by way of receiving gifts in cash or kind under any pretext from the pharma industry or allied health industry. The Parliamentary Standing Committee on Health’s Intervention has also given relief to a whistleblower doctor from Kerala, Dr Babu K.V who had complained to the MCI against IMA, which had signed a Rs.2.25-crore deal with Pepsico for endorsing its products and which Dr. Babu pointed out was in violation of the MCI’s Code of Ethics Regulations, 2002. This has eventually led to his expulsion from the IMA Kerala branch and collision course with MCI, reports Hindu. ” The Committee taking note of the submissions of the President, MCI that the existing Ethics Committee has closed the case against the whistleblower doctor from Kerala and his wiferecommends that completion of all formalities concerning the closing of the case be expedited by the MCI. The Committee desires to be informed of the final outcome/fulfillment of the assurance made by the President MCI, to the Committee in this regard, within one month from the presentation of this Report. MCI members appear to have no time to use their minds to tell the Parliamentary Committee that Human Ethics are much more important for MPs than for doctors. Secondly professional associations of doctors get donations for CME(expenses of speakers and chair persons) and to support the public Health research, hence same guidelines would be a disaster for the associations and the profession as well as public. An uneducated doctor is as good as uneducated member of our parliament.